We Love our home. 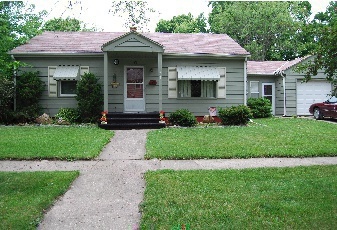 It sits on 2 beautiful lots, and we have a very spacious, completely fenched in back yard. 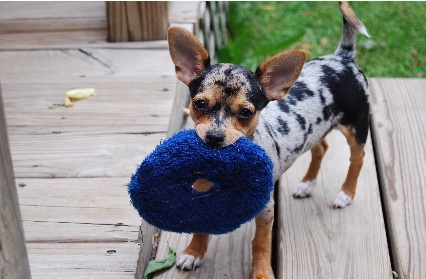 Our Chi's have tons of room to roam, and play in. They have free run of our whole house, and yard. They love it so much. They are trained to the doggy door. 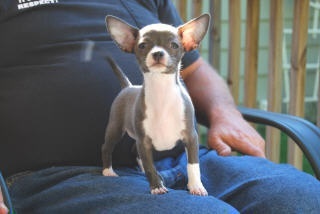 We potty train our Chihuahua Babies to the puppy wee wee pads, and we work with our chihuahua Babies (weather permitting) with outside potty training also before they leave for their new homes. I am retired, and my Chihuahuas are my passion. My husband Bob and I love taking them places with us. They sleep with us, and I enjoy making, and knitting clothes for them. They curl up on our laps and watch TV with us. They love to go camping and walking, as much as they love to snuggle up and read a good book with me. My chi's are very versatile, and happiest doing whatever it is I'm doing. Our chi's are NEVER kenneled. This is kind of funny..LOL..Just so you know, Our Chi"s own us. We don't own them. And we are very Happy, because they never kennel us. Our Chihuahuas treat us great!! they love us dearly. We consider ourselves very Lucky. They share their home with us, spoiling us with all kinds of treats, and outings. We are catered too with fresh cold water while we sun ourselves on the deck all summer, and warm homemade cookies while snuggling under warm blankets in the winter. We are spoiled, and pampered completely. They give us free run of the whole house, and yard, and we are never, ever kenneled!!!! As I am sure you can see, we are very happily owned by our adoring Chihuahuas..lol.. This is the pedigree information for Brew, Gigi, Honahlee, Paige, Methos, And Jasper. . (Methos is not related to any of my girls, so he makes an execellent stud for them, because I absolutely do not believe in inter breeding.) 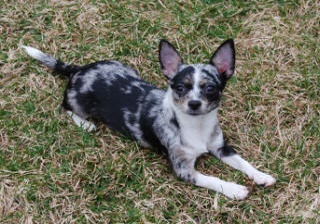 (Jasper will only be bred to my sons, and daughters dogs that are not realated to Brew.) Gigi and Precious are Brews daughters. Jasper is Brew's Grandson. Honahlee, Paige and Journey come to me from outside bloodlines. They have Excellent Championship Pedigrees. And Championship Bloodlines. Here is a list of the champions in their excellent pedigree, and championship bloodlines. It is their Parents, grandfathers, great grandmothers, grandmothers, aunts., and uncles. a full pedigree comes with their puppies. 4 OF THESE CHAMPIONS (I HAVE THEM LISTED IN RED, AND UNDERLINED) ARE IN THE BOOK :THE CHIHUAHUA HANDBOOK : PUBLISHED BY BARRONS : AUTHOR DR. CAROLINE COILE PhD. THIS IS THE EXACT QUOTE ABOUT THEM ON PAGE 102 IN THE BOOK. "GOOD GENES RUN IN THE FAMILY. THE BROTHERS CH. QUACHITAH BEAU CHINE AND CH. QUACHITAH KODIAK ARE THE ALL-TIME NUMBER ONE AND NUMBER TWO SIRES OF AMERICAN CHAMPIONS IN THE BREED. THE NUMBER THREE TOP PRODUCER OF ALL TIME IS THEIR GRANDSIRE, CH. DARTAN'S ELFIN MAGIC. NOT ONLY DID CHIENE SIRE AN AMAZING 100 CHAMPIONS, BUT HE WAS THE FIRST BEST IN SHOW WINNER TO ALSO PRODUCE A BEST IN SHOW WINNER: HIS VERY FIRST CHAMPION, CH. BLISS HOOSIER BOY NAMED SUE"
IF YOU ARE CONSIDERING GETTING A CHIHUAHUA PUPPY, AND ARE LOOKING FOR ONE OF THE BEST BOOKS EVER WRITEN ON THE BREED, I HIGHLY RECOMEND THIS BOOK. IT IS WRITEN BY AN EXPERT ON CHIHUAHUAS!!!! Our Gorgeous Methos comes to us from the prestigious Dartan, and Fargo championship bloodlines. His Excellent pedigree boasts 42 champions. 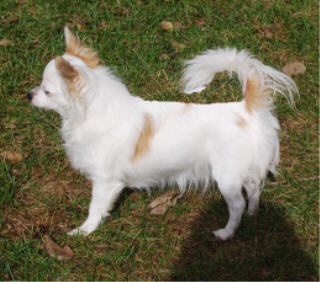 Coming from very tiny stock, his history, pedigree, and bloodlines, have been researched back for several generations, revealing tiny progeny for all generations. Methos is tiny himself. As an adult fully grown, he weighs only 3 pounds. His mother is ****Good Golly Miss Molly XXIV****. 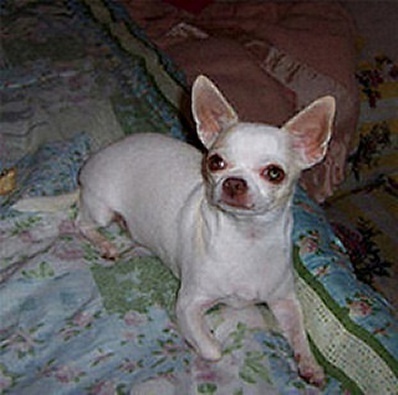 She is from the celebrated show kennel, Hi C Chihuahuas. We are very proud to have our Little Methos. 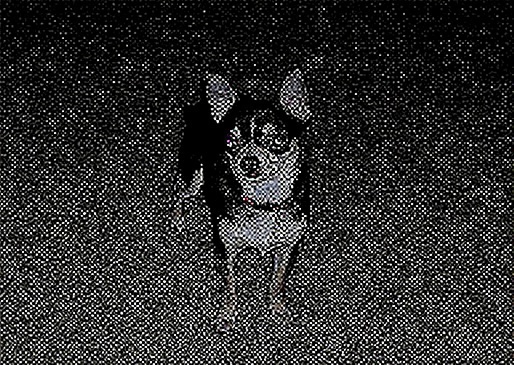 He is the Sweetest, most Friendly Chihuahua I have ever known. JASPER....Has 48 Champions in his 8 generation Pedigree. He comes from the number one of all time.... Quachitah Bloodlines. Jasper is a very tiny Little guy. as an adult now, full grown he weighs just 3 pounds. He Comes from Very Tiny parents and Grand Parents, and great grand parents. . We are Very excited about the Puppies he will throw for us, as we just know they will be tiny and Gorgeous, with wonderful temperments just like their Sire, as Jasper has the Most Fabulous Temperment ever. He is a Gorgeous Chocolate/white with a touch of Fawn. We feel Very Privledged to have this Little guy. 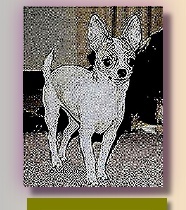 Victory Chihuahua's breeds HIGH QUALITY AKC/CKC/UKC Chihuahuas for Loving Companions, for Breeding, and for Show. Here at Victory Chihuahuas we have only 2 to 4 litters of puppies a year, so it always stays fun and exciting for us. It is such a joy to play with, and cuddle these Little Angels. We Love them all dearly. Just as we dearly love and pamper our adult Chihuahuas. We cherish the time we have with our babies before they leave for their new homes. We pride ourselves in giving you the most happy, well socilaized, and outgoing babies ever. Our Dogs, and Puppies have Sweet Personilaties, and are Good Natured. They are Healthy, Well Socialzed, Well Groomed, Beautiful and Exotic. We bred to the AKC standard. Our puppies can range between 4 to 6 pounds as adults, but we do many times get the very tiny ones that range between 2 to 3 pounds as adults. We have plenty of Love, Kisses, Hugs, and Room on our Laps for all the Darling Fur babies in our Home. Because we only have just a very few Chi's, we give, a Great amount of Individual attention to everyone!! And we have tons of time to spend with the Babies too. We take Great Pleasure in Nuturing and Socializing them. We take Pride in the fact that we work with our Babies Diligently with potty training skills. And they are well on their way to being trained when they leave for their new homes at 8 TO 12 weeks old. if they are very tiny, we keep them here with their Momma until 10 to 12 weeks of age. WE LOVE THEM ALL DEARLY!!!! I have had Chi's ALL my life. I am retired now, but I did own my own Cleaning Business for 22 years. I am a Very Clean and Neat person. And my home, and Chihuahuas Reflect that, as my Home and Chi's Very Clean and Neat also. 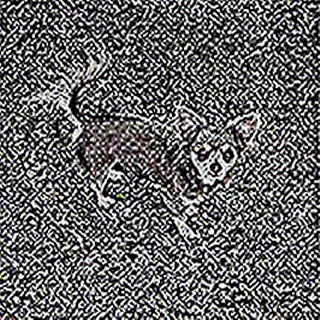 I have Raised, Shown, and Bred Chihuahuas for 28 years. I have never had any other dogs but chihuahuas. All my dogs come from Championship Bloodlines, and have top pedigrees. Our dogs, and puppies live in our home with us. They are loved family members. Since our Human Children are grown, and have families of their own, our fur children now get all of our attention. Needless to say, they are VERY spoiled Kids!!!! My Chi's are my Passion, and my Life. My Husband and I spent all of our time with our Sweet Chi's, and take them everywhere with us. 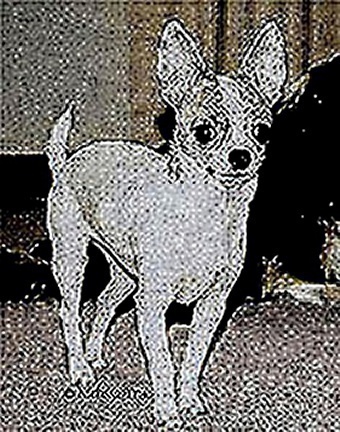 You will see 10 Chihuahuas on my site. 4 chi's are ours. My Son Rob and his family has 3 Chi's. And my Daughter Melissa has 3. We have only 2 to 4 litters per year. And we have only Chihuahuas. We are not a business nor are we a KENNEL! !